References to the bamboo most often cite the 1908 edition of Bill Boothby’s The World’s Drinks and How to Mix Them. 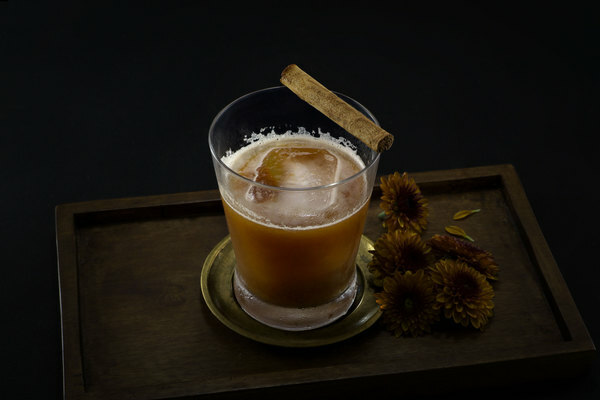 Boothby attributes the drink to german-born, west-coast bartender Louis Eppinger. In his book Imbibe!, David Wondrich pens a beautiful history of Eppinger and his tireless construction of the Yokohama Grand Hotel—specifically it’s food and beverage programs—from which this cocktail purportedly arose between the years of 1890 and 1907. 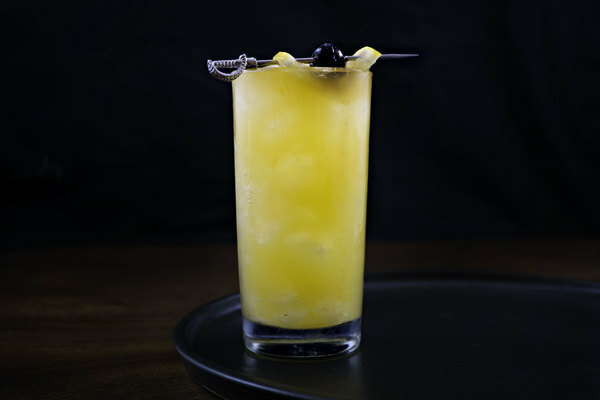 He also injects a bit of mystery into the subject, noting that a similar drink, called the Boston bamboo, was already in print by 1893, only three years after Eppinger took over the Grand. Whether Eppinger actually invented this cocktail seems to be an unsolved mystery: one of many from an era where the speed of change in the cocktail universe greatly outpaced the attention it received from publishers and historians. 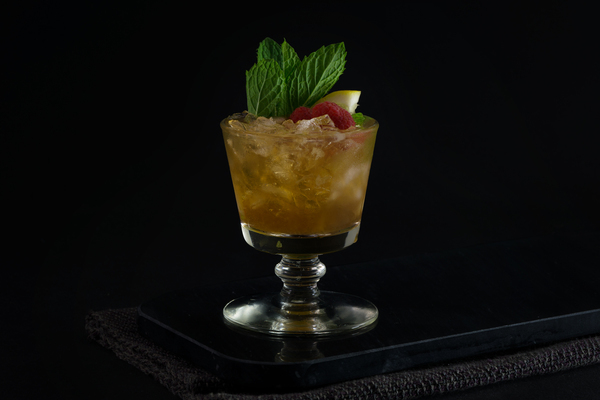 The bamboo is complex and flexible like a Manhattan, yet light and fruity like an Americano. This allows it to shine as a low-alcohol daytime sipper while moonlighting as a dark and spicy evening drink. It is unequivocally juicy, with raisiny fruit and citrus on the nose, followed by even more fruit and tanginess in the sip. 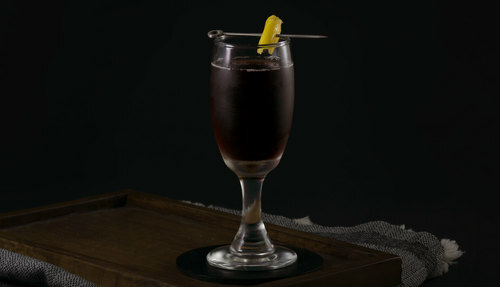 The drink is a deep, dark red, and has the look of a rich glass of Burgundy or merlot. The bamboo sports a very similar ingredient list to the old hickory, which also uses dry vermouth and orange bitters, and similarly eschews a base spirit. That said, the old hickory uses sweet vermouth instead of sherry and tastes very different; it’s a testimony to the power of those ingredients. Because the original recipe requests dry vermouth and sherry without being specific about what kinds, the bamboo is very open minded. Wondrich recommends either a fino or amontillado sherry, while Jim Meehan, in his Bartender Manual recommends the rarer palo cortado variety. We like amontillado, and have even had some luck with port, but the style you use will probably be influenced by the style of vermouth you choose, which can also vary. Meehan likes the sweeter vermouth blanc in the recipe. He notes that most recipes from this era taste better with this style, likely because french vermouth was sweeter when these drinks were made. We tend to agree in this instance. Dry vermouth will add an intense, slightly bitter finish to the drink; this might be your thing, but for most it will not. If you do choose a dry vermouth, opt for a sweeter sherry to help balance things out.